US death metal legends Deicide have just announced their spring North American headline tour. The band will hit the road starting May 11th in Austin, TX to June 1st in New York City and will be making stops in major markets like Los Angeles, Seattle, Chicago, and more. 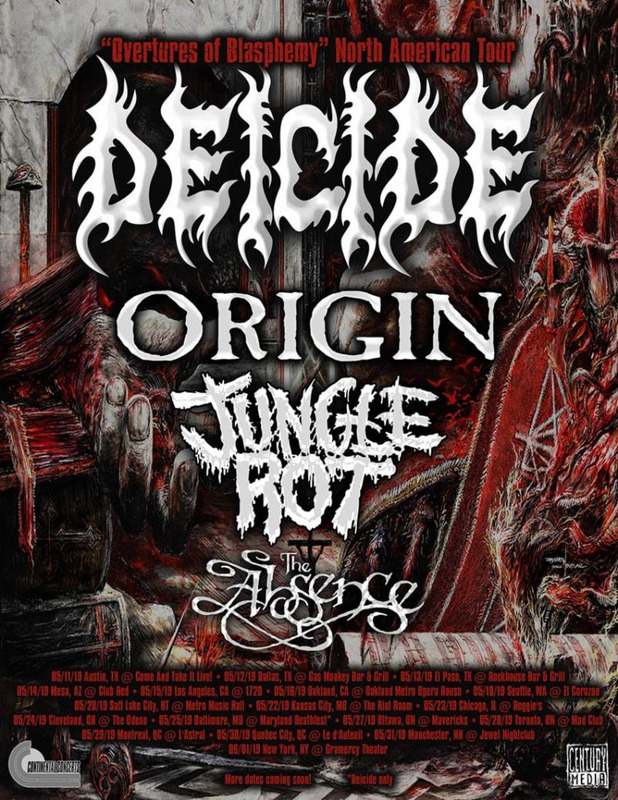 Deicide will be joined byOrigin, Jungle Rot, and The Absence as support. Tickets are available for purchaseHERE. 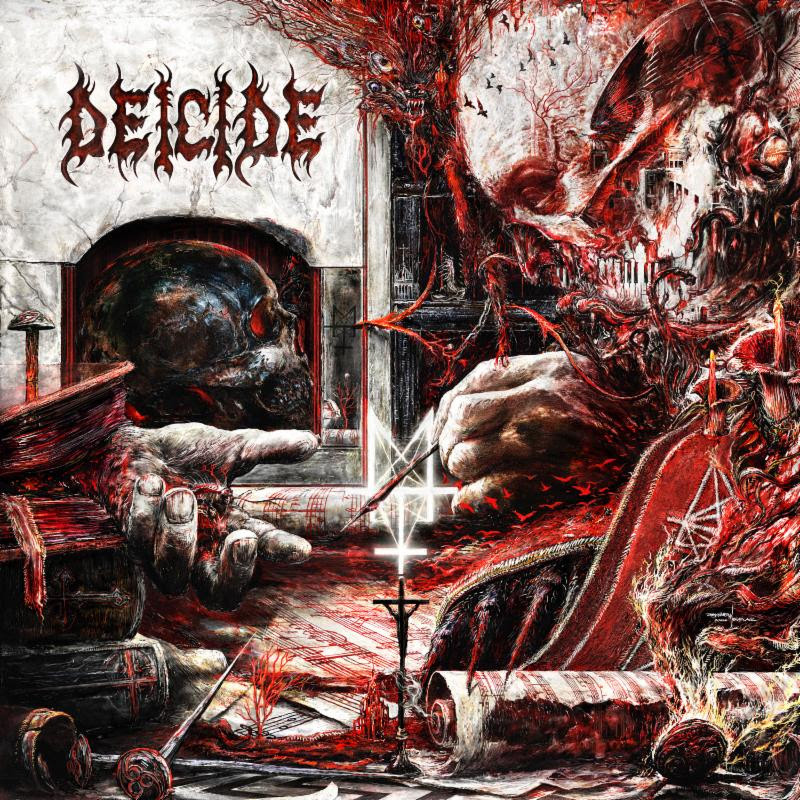 In addition to the tour announcement, Deicide is also proud to introduce their newest, permanent addition to the line-up, guitarist and longtime friend Chris Cannella.“Looking forward to getting out there with the new line-up and bringing the new offerings of blasphemy to the people,” states Deicide bassist and vocalist Glen Benton about the announcement. Deicide is Glen Benton (Bass, Vocals), Steve Asheim (Drums, Guitars), Kevin Quirion(Guitars), and Chris Cannella (Guitars).